Companies will have to reveal how much more their chief executives are paid compared with the average employee, under a package of government reforms. Measures aimed at increasing boardroom transparency in publicly listed companies will be unveiled later. 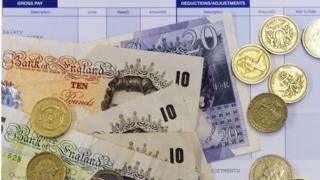 Firms who face significant shareholder opposition to executive pay deals will be named and shamed on a new register. Business Secretary Greg Clark says the plans will make a difference, but unions attacked them as “watered down”. The new corporate governance laws, which are due to come into effect by June 2018, will force some 900 publicly listed companies to reveal the pay ratio between bosses and workers. The Conservatives had promised in their manifesto that executive pay should be approved by an annual vote of shareholders. However, the new measures instead propose that those public companies who face a shareholder revolt on pay, where 20% or more of investors vote against executives’ remuneration, will be named on a register overseen by the Investment Association. At the weekend, the Prime Minister Theresa May attacked firms who hand bosses excessive pay “as the unacceptable face of capitalism”. Writing in the Mail on Sunday, she said the excesses of some chief executives was “damaging the social fabric of our country”. Businesses will also have to ensure that staff of listed companies are better represented at board level, either by allowing workers to nominate a a director, creating an employee advisory council or assigning a non-executive director to represent the workforce. This requirement will be included in the UK Corporate Governance Code, which operates on a “comply or explain” basis. Mrs May had initially promised to force companies to have an employee representative on the board, during her bid to become Conservative Party leader last July. However, she backtracked in November and said businesses would not be mandated to implement the move. TUC general secretary Frances O’Grady said: “The prime minister’s pledge to put workers on company boards has been watered down beyond all recognition. While the majority of the new measures will only apply to publicly-listed companies, the government has asked the Financial Reporting Council, the City watchdog, to draw up a voluntary set of corporate governance principals for large private companies. It follows the collapse of BHS last year which left 11,000 people out of a job and the company’s pension schemes in a perilous state. The department store chain was sold by Sir Philip Green to a former bankrupt, Dominic Chappell, for £1 in 2015. Commenting of the corporate governance reforms, Paul Drechsler, president of the CBI business lobby group, said: “Companies take this seriously and look forward to working closely with the government to ensure the UK maintains its reputation as a global leader in this field and as a primary location for international investment.